When someone describes a bitter woman as having 'a mouth like a kirby grip', or a depressed man as having 'a face like a horse in the huff', you can be fairly sure that you have strayed into Weegie Wan-Liners territory. 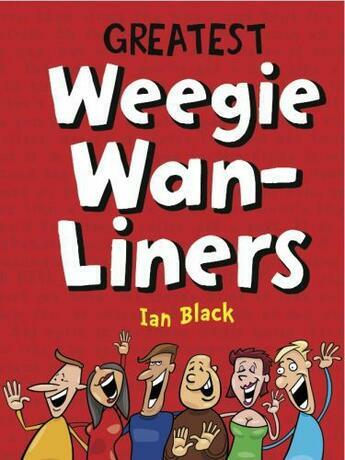 Greatest Weegie Wan-Liners is the latest collection of Glaswegiana, the straightforward insults, the sly digs and the outright threats, culled from pubs and howffs citywide by Ian Black, master of the quick sidestep. Hilarious, witty and full of priceless quirky quips, this is one book that is sure to make you cry with laughter and have you reciting lines to everyone you meet - just be careful who you say them to!